Plot: Peter Parker finds a clue that might help him understand why his parents disappeared when he was young. His path puts him on a collision course with Dr. Curt Connors, his father's former partner. Rating: PG for sequences of action and violence. 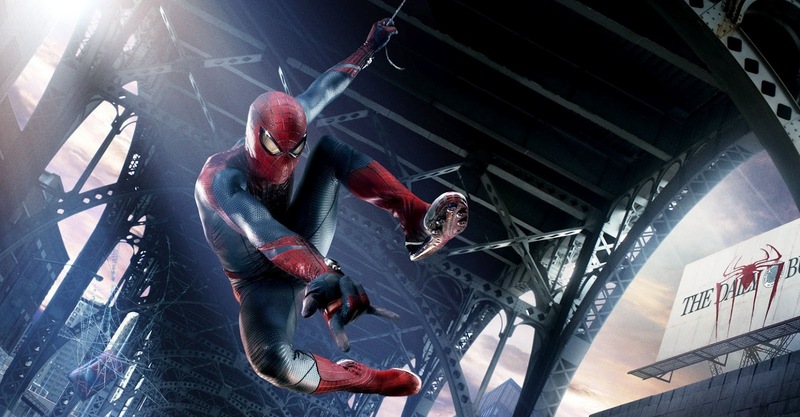 Is a Spider-Man reboot too soon? That is the question on everyone’s lips. The answer is yes, but nobody minds if it is good enough to satisfy. And indeed it is. 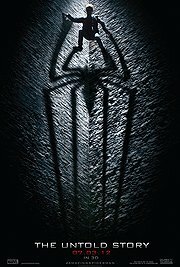 The Amazing Spider-Man is one of the year’s best blockbusters, an action-packed visual extravaganza with something that is sorely lacking in most other blockbusters: An excellent, focused, and well-told story. 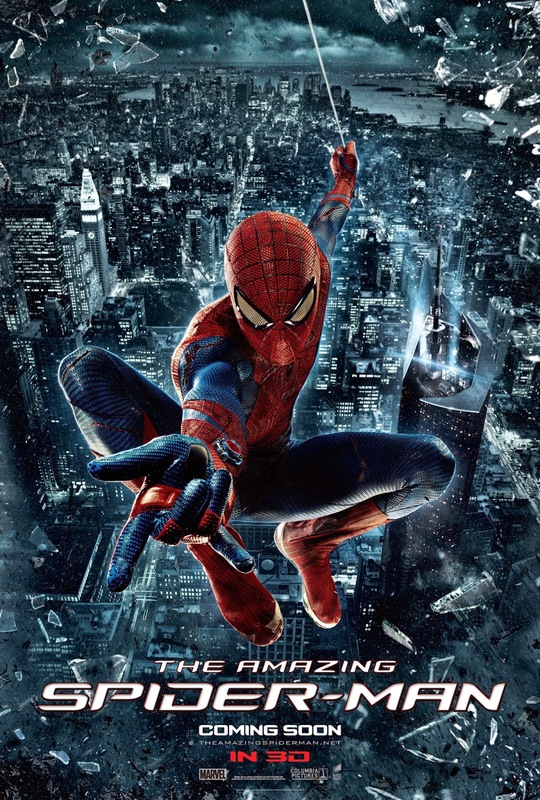 Directed by Marc Webb, who last helmed the critically-acclaimed and extremely lovable (500) Days of Summer (2009), but now spins his own web in a fresh new take on one of the superhero genre’s most identifiable characters, The Amazing Spider-Man is every bit as good and entertaining as The Avengers (2012). Perhaps a “fresh new take” is slightly misleading as Webb’s film is a mixture of the new and old, a combination of elements that are both original and familiar, yet the end result is as satisfying as it gets, and I daresay, cooler than Sam Raimi’s Spider-Man (2002). Webb goes deeper into the history of Peter Parker (who would become Spider-Man), but still this is no character study, neither is it a pure origin story. Speaking of which, despite more character backstory, Peter (who is played by Andrew Garfield) is only adequately developed, and unfortunately not awesomely developed. The character doesn’t quite come into his own in the film; instead it feels like he is riding on the success of Raimi’s trilogy while at the same time trying to reinvent himself, albeit with mixed results, for a (slightly) newer generation. Still, Garfield’s performance is above expectations. His chemistry with co-star Emma Stone (who plays Peter’s would-be girlfriend Gwen Stacy) is near-perfect. Well, they have the advantage of being a real-life couple, but still, much credit is due to director Webb who knows a thing or two about that nervous, fleeting human feeling of being in love, after making it so fun to watch Joseph Gordon-Levitt and Zooey Deschanel get on with each other in (500) Days of Summer. The villain Dr. Kurt Connors (Rhys Ifans), who convincingly turns into The Lizard, is ruthless yet we feel a tinge of sympathy for him as he tries to grapple with nefarious thoughts that threaten to overwhelm his genuine concern for humanity. Action fans will dig this film. Although the film is set up a tad slower than expected with the emergence of The Lizard only past the hour mark, The Amazing Spider-Man calls attention to itself with some stunning web work. Shot using RED 3D cameras, it is quite an experience to see Spider-Man swing from one building to another in another dimension. Webb knows this, and he tries his very best to insert as many shots of Spider-Man demonstrating his newly-acquired web fu skills as he possibly can. There are lighter moments in store for the two leads, and being primarily set in a high-school setting, there is that spontaneous, energetic vibe to the film that Raimi’s films lack. Ultimately, The Amazing Spider-Man is not so much a film about Spider-Man, but Peter’s blossoming romance with Gwen. That is the youthful heartbeat of the entire film. That is the promise of something greater to come in the inevitable sequel. And that is one inevitability I am actually very looking forward to. Verdict: This Spider-Man reboot is solid, focused, and way too cool.